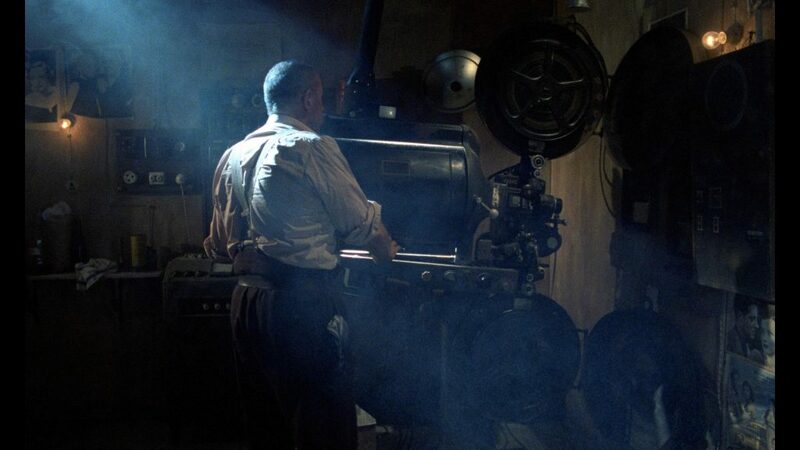 Director Giuseppe Tornatore crafted one of the all-time great love letters to film, with his moving and occasionally emotionally manipulative work Cinema Paradiso. 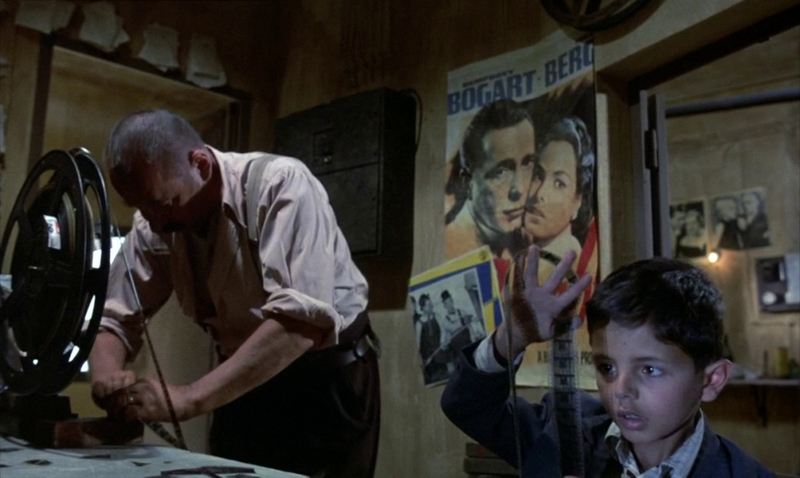 But whether one feels ‘manipulated’ or not it’s hard to dispute that Cinema Paradiso is a masterpiece. If you love the movies, then you will love this film. A semi-biographical work on Tornatore’s early life, Cinema Paradiso chronicles the life of fictional Italian film director Salvatore Di Vita, a famous and well-respected name in the Italian film industry. Since rising to fame Salvatore had not been to his home village in Sicily in over 30 years, but a sudden call from his estranged mother forces him to revisit his past. Through flashbacks, we see Salvatore (or Toto’ as he was called) as a mischievous, yet very smart little boy in the years following World War II. He soon discovers a love for films and spends every free moment he can at the town’s movie theater, Cinema Paradiso, much to the dismay of his widowed mother. In the absence of his father, Toto’ befriends the theater’s projectionist Alfredo (Philippe Noiret) who allows the young boy to watch movies from the projection booth and eventually teaches him to run the projector. As time moves forward the bond between the two grows stronger. Toto’, now running the projector by himself, often seeks advice from the fatherly Alfredo both on love and his career ambitions. When he finally leaves his small town, he too leaves the loves, friendships, and memories of his past. Fast forward to the present day, and the now famous Salvatore Di Vita returns for the first time since departing coming face to face with the places and people that shaped him. Cinema Paradiso is a film full of nostalgia, charm and subtle beauty, and a definite overarching theme of romanticism. Winner of the Academy Award for Best Foreign Language Film, the film had been credited with reviving the Italian film industry which had been seen as in decline (indeed Italy hadn’t won the Oscar in 15 years). 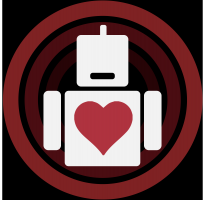 Some critics have said the film overly plays on our emotions, and while that’s certainly true in some instances, it would be disingenuous to say that the movie is not affecting and inspiring. Add to the mix a wonderful and stirring score from the master Ennio Morricone, and it’s difficult not to fall in love with the film. Morricone’s score alone and the famous “Love Theme” stands as a highlight; amongst the many memorable scores he has composed Cinema Paradiso stands among his very best and that’s saying something when you look at his impressive musical resume. In its memorable final scene, Tornatore proclaims once more his deep love for cinema and created with this outing a romantic, emotional and feel good movie. In a world full of turmoil the sweetness, love, and nostalgia present in Cinema Paradiso will always have a place in the heart of moviegoers. As Wrestlemania approaches, we look back at the legend of The Phenom, The Deadman, The Undertaker. One of the finest entertainers to grace the ring. Congratulations are in order so grab your best friend, turn on your favorite Dave Matthews Band song and party like its 2003!